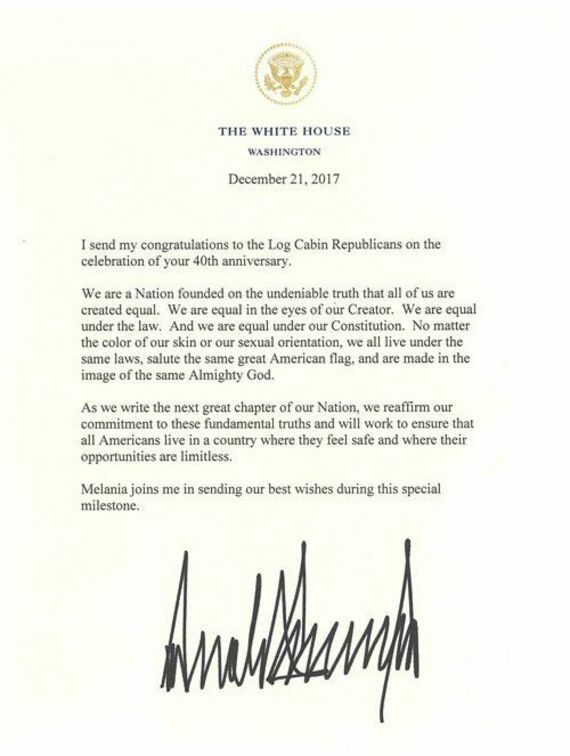 Donald Trump sent a rather odd congratulatory letter to the Log Cabin Republicans in late December — about the same time that he was trying to pack the federal judiciary with anti-LGBT bigots that we will have to live with for decades. This is also the same Trump whose solicitor general filed a brief in Masterpiece Cakeshop v. Colorado supporting the baker. This is the same Trump who has surrounded himself with bigots like Jefferson Beauregard Sessions III. This is the same Trump who supported North Carolina's offensive House Bill 2. I wonder just how stupid he thinks the Log Cabin is. for their kind memorialization of Log Cabin Republicans’ past and their best wishes for our future as we forge ahead, together, toward a more equal America. Mr. Angelo must be living in a different America than the rest of us. In addition to Sessions there is the incredulously unhinged Ben Carson. Did Mr. Angelo forget about Trump's ham-handed efforts to prevent the military service of transgender Americans? Did Angelo sleep through that part? Take pills? Binge on Leggo movies? No matter the color of our skin or our sexual orientation, we all live under the same laws, salute the same great American flag, and are made in the image of the same Almighty God. As we write the next great chapter of our Nation, we reaffirm our commitment to these fundamental truths and will work to ensure that all Americans live in a country where they feel safe and where their opportunities are limitless. Trump selected as his vice president a rabid and irrational anti-LGBT politician. Trump appointed another irrational anti-LGBT attack dog to be his attorney general. Sessions, presumably with Trump's okay, has issued LGBT guidance that gays and trans people have no nondiscrimination protections in the federal workplace. Sessions even had a private meeting with Alliance Defending Freedom, an anti-LGBT hate group. According to Hate Group Leader Tony Perkins of Family Research Council, he has limitless access to the White House including to Trump himself. Trump has said that marriage should be determined by the states. Trump has promised to appoint justices of the Supreme Court who might overthrow Obergefell v. Hodges. Trump's HUD secretary, Ben Carson, is an unglued anti-LGBT nut. Trump fully supported North Carolina's HB2. Hate Group Leader Tony Perkins (Family Research Council) seems to have open access to the White House and, perhaps, the Oval Office. Trump has tried to exclude, and dismiss, from military service transgender personnel who are otherwise qualified. Through his solicitor general, Trump's administration argued at the Supreme Court in favor of Masterpiece Cakeshop. Trump's secretary of energy, Rick Perry has a history of campaigning for office by demonstrating that he was anti-LGBT. A number of Trump's nominations to the federal bench have extensive records of animus towards the LGBT community. Trump's narcissism was evident after the Pulse Nightclub shooting. 49 people died and Trump took it upon himself to use it as campaign fodder. Trump was the great friend of the LGBT community because he would keep us safer by discriminating against Muslims. He hasn't made us safer but he has discriminated. 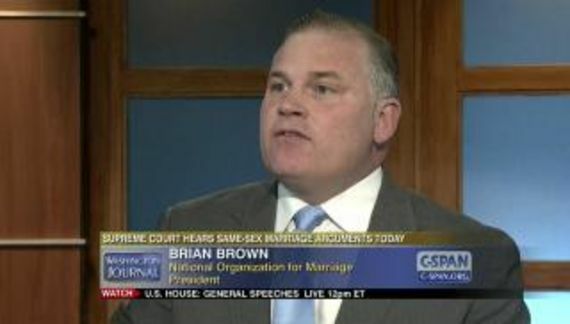 Even George W. Bush had a gay staffer in the White House. There is no evidence of so much as one under Trump.